Our charming little town stretches over a mountainous projection of the Tyrrhenian coast. It lies in the shadow of a tremendous rock called “Rocca”, which is also the town’s symbol. 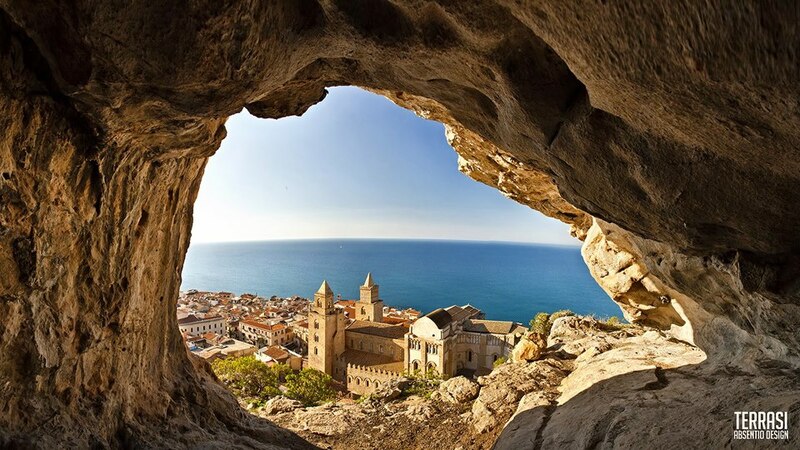 The favorable climate combined with the beauty of the landscape and the historical treasures make Cefalù one of the most attractive touristic highlights in all of Palermo’s province. Besides tourism, agriculture and fishing are the two major important lines of business. Little is known about the origin of Cefalù. It must have begun as a fortified outpost, almost certainly Greek, towards the end of the feet of the “Rocca”, where today the well-preserved historic center of Cefalù is located. The town is surrounded by a wall of megalithic construction, a good part of which is still original. The name Cefalù may derive either from the Greek “Kephaloidion” or the Punic “Kefa”. Both mean “head” and refer to the shape of the Rocca which resembels a small head. Situated on the “Rocca” is a megalithic structure known as the “Temple of Diana”. The temple dates back to the end of the 4th to the beginning of the 5th century before Christ and was built around a cistern. The cistern was used for water rituals and proves together with two grottos at the eastern side of the “Rocca”, that people had settled up on the hill long before the city was founded.